Jack Morris has been trading art for nearly 55 years. 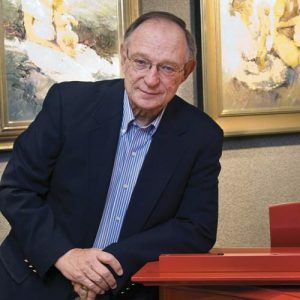 He has opened commercial galleries in Houston, Dallas, Santa Fe, Hilton Head Island, and Scottsdale, and his Scottsdale Art Auction is one of the top US auction houses for Western Art. He was one of Clark Hulings’ gallerists, is the official gallerist for the Hulings Estate, and has served as a CHF Advisory Board Member since the organization’s inception. 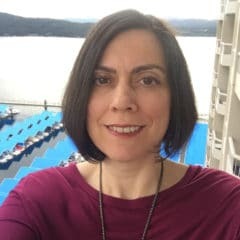 In a recent interview with CHF Editorial Director Sofia Perez, Jack discussed how auctions have changed over the years, and the mindset that artists need to adopt when seeking gallery representation. SP: You recently returned from a trip to Arizona, where you were doing prep work for sculptor Glenna Goodacre’s upcoming auction. Tell us about that process. JM: Glenna has had an extraordinary career. She created a monumental sculpture of Ronald Reagan. She created the Vietnam Women’s Memorial, which is on the Washington Mall. She designed a US dollar coin that featured the image of Sacagawea. To my mind, she is one of the foremost American sculptors of all time. She decided to retire in June of 2016, but she felt that she had been so blessed in her career that she wanted to share what she could with others, and so she gave her clay, her sculptor’s tools, and her art library to the New Mexico School of Fine Arts in Santa Fe. Then she made several gifts of her work to Texas Tech and other institutions. She also wanted her collectors to have confidence in the work that they had collected and cherished—to know that there would never be any question about posthumous or spurious casting—so she destroyed all of her molds. As part of the last stage of this process, she decided to have an auction of her personal collection, which is taking place in Scottsdale on April 6th. There are a number of pieces that are one of a kind. In the case of the Vietnam Women’s Memorial, there is the original small sketch, and it’s the only one that exists. She decided to offer those to the public at auction. Included in the auction is one of her three larger-than-life Ronald Reagan pieces—they’re over seven feet tall. One of them is at the Cowboy Hall of Fame in Oklahoma City, and another is at the Reagan Presidential Library in Simi Valley, California. 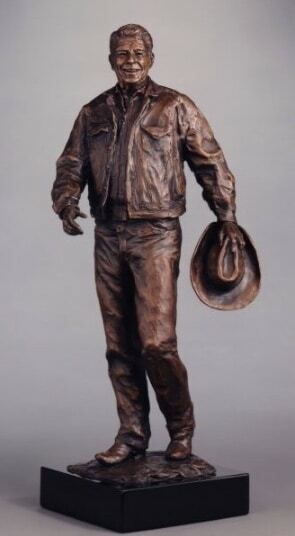 The third one was intended for Reagan International Airport in Washington, but it was decided that it did not look presidential enough because he was depicted wearing blue jeans and boots, and holding a cowboy hat. That’s the cast that’s going to be offered in Scottsdale. SP: How many works are included in the auction? JM: There’ll be 114 items, and they’re all unique in some way. They’re either the last of the edition or the only one cast—or there’s something else that’s special about them. SP: You mentioned the fact she’ll be destroying her molds. Why is that important? JM: In sculpture, you have multiples; there are molds that exist, and other casts that could be made at some point. If those molds continue to exist after an artist is gone, then pieces can be created that the artist never saw. Remington is a good example. He did a piece called The Bronco Buster in 1895. Prior to his death in 1909, there were about 70 casts made of that piece, but after his death, his widow had the right to continue casting, and she did just that up until her death in 1918. The foundry that was casting those bronzes knew that her will specified the destruction of those molds, so when they learned that she’d died in October 1918, they frantically started casting as many as they could. By the time the court reached the foundry with the order to destroy the molds, there were over 200 casts. Obviously, collectors would prefer to have a lifetime cast. Or, if not a lifetime cast, they’d sure like to have an authorized Remington cast, but that water got very muddied. Sculpture can present that problem, and Glenna wanted to avoid that. She wanted her collectors to know that if you have a Glenna Goodacre sculpture, it is a lifetime cast, and it’s authentic. Another interesting detail is that a sculptor’s estate can be taxed on the potential of their molds. For example, if a sculptor plans to have an edition of 25 of a particular work, but only casts 15 during his/her lifetime and dies with the molds still in existence, the IRS can claim that the ten that have yet to be cast represent potential income, and it can tax the estate accordingly. The molds represent a potential asset value. 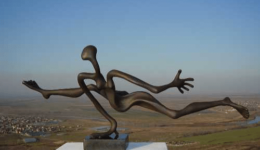 SP: Besides the casting situation, what are some of the other issues that sculptors and other visual artists need to watch out for when it comes to protecting their estate and their heirs? JM: All artists need to take stock of their work and treat it like a business. For example, businesses have what’s called a P&L or profit-and-loss statement; that’s how well you’re doing while you’re active and making a living. As with any business, there’s a balance sheet that details the assets of that company or entity, and in the case of an artist, they are the company. Many artists incorporate or create some type of legal entity for their business—or they should, in my opinion. The balance sheet becomes very important. For example, with Glenna, let’s say she has an edition of 25 bronzes, and she’s cast all of them, but there are still eight scattered among various galleries. When the corporation ceases to exist, and the IRS comes in and does an appraisal or asks for one, those assets will be taxed. Then it becomes a question of whether or not they are worth the full retail price that a gallery might’ve sold them for or some discounted amount. How do you determine the value? You get an appraiser to come in and do that. So that’s another thing that Glenna is doing with this auction. She’s cleaning up her balance sheet, which is something all businesses should be doing on a regular basis. SP: You’re also the official gallerist for the Clark Hulings Estate, and work closely with Elizabeth and Mary Hulings on that, as well as being on CHF’s Advisory Board. JM: The Clark Hulings Fund is a great example of something that’s intended to help other artists. It is so much in the spirit of Clark. He never considered himself a teacher or taught workshops, but he did want to share, and he was always willing to talk with other artists when they sought his counsel. He was an astute businessman, and fortunately, his daughter, Elizabeth, and his wife, Mary, have created CHF to help other artists achieve better business skills. What Elizabeth and Mary have done with the Hulings Estate is to create the archives. They’ve got the files and the documentation, which are essential, but they are also devising ways of sharing information with collectors, other artists, and institutions like museums and art centers. SP: Tell us about how you first met Clark Hulings, and how you came to be his gallerist. JM: Back in 1980, I was working for a gentleman in Scottsdale who had probably the largest collection of Clark Hulings’ work. In 1973 Clark won the Prix de West, which was the top award given by the National Academy of Western Art (NAWA), and so this fellow started collecting Clark’s work in the mid-1970s, right on up until I went to work for him in 1980. By then, he owned about 20 of Clark’s paintings. Clark was coming to visit one day, and the collector instructed me to take his Mercedes station wagon to the airport to greet Clark and Mary, and to turn the car over to them for their use while they were in town. That’s exactly what I did. We became good friends. Early in his career, Clark had been very successful with Grand Central Galleries in New York, but by the time we met, he already had collectors literally lining up at his studio door asking for paintings, and so he didn’t have a need for galleries. He maintained a list of these collectors, and when your name came up, he’d contact you and say, “Are you still interested in a painting?” Whatever piece was ready next would be offered. We continued to maintain a friendship, and then in the early 1990s, he was one of five finalists for a major prize at a show in Ruidoso, New Mexico. At that point, he and I talked about galleries, and he said he was thinking about going into the gallery system again. He was beginning to understand that while he didn’t need them to sell his work, he wanted a gallery or some other vehicle to keep his name in front of the public. 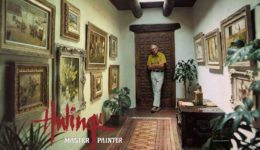 He joined the Nedra Matteucci Galleries in Santa Fe, which was a very logical choice for him, but he also agreed to share a painting or two with me for auctions that I was conducting with a business partner in Dallas and Houston, and so our professional relationship began to build from there. When I moved to South Carolina in 2000, he asked me to represent him east of the Mississippi. Subsequently, I had the privilege of organizing exhibitions for him in New York, at J.N. Bartfield Galleries and the Forbes Gallery. Unfortunately, he passed away just before the Forbes show. SP: Explain how galleries helped him keep his name out in the world. JM: Galleries advertise in magazines and other print media. Of course, this is something that’s changing so dramatically today, with all of our electronic communications, but important galleries help keep an artist’s name out there in national magazine ads, and they have your work hanging on their walls when collectors stop by to visit. Clark’s problem was supply and demand. It was difficult for him to ever really have enough supply to give a gallery inventory. He painted and saved up until he had enough work, 20 or so paintings, that could constitute an exhibition—and that also gave the gallery something to advertise and promote. When we did the Bartfield show in New York in 2007, we sold those paintings by what’s called the draw-box method—meaning we had a little box hanging on the wall next to each work with the stated price on the label. If you wanted to buy that painting, you wrote your name on a slip of paper, and put it in the box. Then, at an appointed time during the evening, all the boxes were brought up front, and they’d have a child or someone independent reach their hand into each box and pull out one slip. Whoever’s name was drawn got to buy the painting. That was a very popular method of selling paintings, especially during the 1980’s and 1990’s, though it began to wane a little bit after 2000. JM: Fortunately, the show sold out. We sold every single piece at the gallery in New York, and some others at a live auction in Hilton Head. At that time, the country was clearly headed into a recession, and gallery economics were changing. Clark and I were extremely fortunate that that show and sale took place when it did. SP: In the draw-box method, the price is already set. It’s not like a silent auction where people write their bids down on paper. JM: Right. There’s an annual show that’s still held every June at the National Cowboy & Western Heritage Museum, and that’s how the paintings are sold. Prior to using draw boxes, the museum used to put a little tag on each painting, and people would have to stand and wait behind a red ribbon until someone stepped up to cut it. Then everyone would rush into the gallery, tear the tags off of the paintings they wanted, and take them over to the counter to pay for them. One year—I believe it was 1974—there was a gentleman who was especially determined to get a particular Clark Hulings painting called Lower Colonias. On the way to it, he knocked down a woman and broke her leg. JM: He got the painting, but Clark felt so badly for the woman that he painted another piece featuring the same subject. There’s enough of a difference that they are two distinct paintings, but for the newer one, you’re looking a little bit further down the road. We have an auction coming up in Scottsdale on April 8th, two days after Glenna Goodacre’s sale, and that includes version two of the subject, or Another View of Lower Colonias. SP: I assume she was happy it? JM: Yes, she was, but the painting eventually changed hands, and the person who ended up owning it consigned it to our April auction. 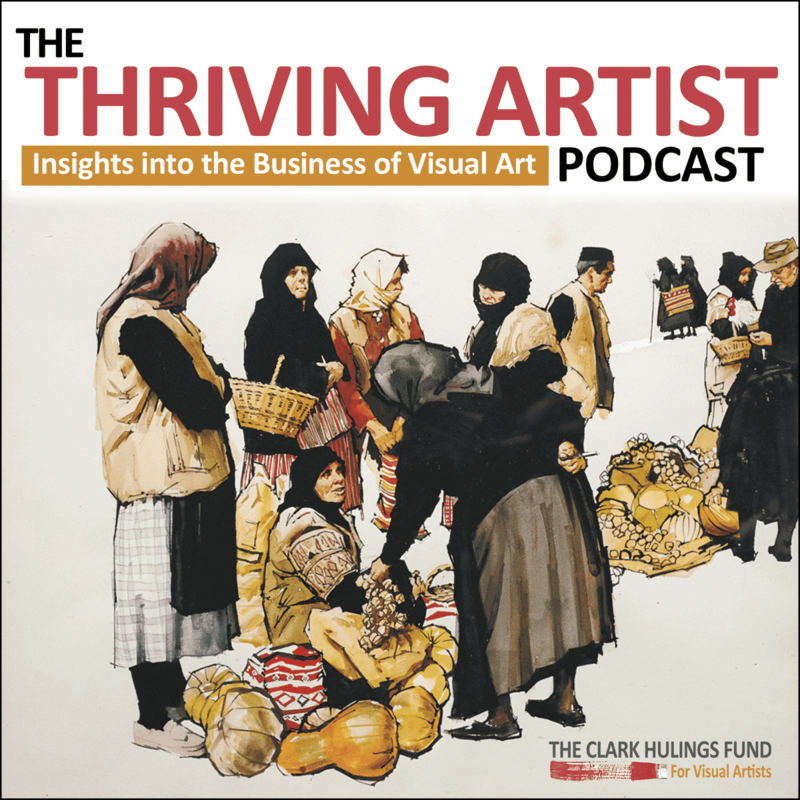 SP: Your professional relationship with Clark evolved naturally from your friendship, but when you don’t have that foundation, how do you decide whether or not to represent a particular artist? JM: I look for a strong work ethic. I’ll give you an example. There’s an artist named Dean Mitchell [who is also on the CHF advisory board]. He was educated in Ohio at the Columbus College of Art & Design and then subsequently worked as an illustrator for Hallmark greeting cards for a short while. In my opinion, he is one of the top watercolorists in America. Dean had to create his own reputation with sheer hard work. He’d enter art shows, and it didn’t matter to him if it was a sidewalk show in a mall or one that was sponsored by a museum or art center, as long as it had a prize. To this day, even though he’s now well established, Dean still earns over $30,000 a year this way—a $5,000 prize here, a $500 prize there. You might say, “Isn’t Dean too good for some of those shows? I mean he’s a big-name artist. Why would he submit his work to a show in southern Georgia?” And I’m from Georgia, so I can say that. [laughs] It’s because he’s a hard worker. After he was established and got a gallery in New Orleans, he wanted that gallery to publish a book, but they simply did not want to invest the money in the project, so Dean did it himself. He has subsequently published a second book, and I think there’s a third one that’s either on the way or has already been published. That’s what I look for. I go to shows like Prix de West in Oklahoma City, Quest for the West at the Eiteljorg Museum in Indianapolis, and the Autry show in Los Angeles, and I look at who’s in those shows and whose boxes are stuffed. If an artist has 30 or 40 slips in their box for the drawing, that tells you their work is very saleable. SP: Even if you’re a successful artist, you can’t rest on your laurels. You still have to treat you work like a business, and keep doing all of the little things that got you there in the first place. SP: We talked about what you look for in an artist. What do you tell artists to think about when deciding whether or not to approach a particular gallery? JM: You want to find a gallery that is a legitimate commercial business, one that’s being operated by people who have a business sense. Of course it’s important that they have a sincere appreciation and sensitivity to art and the work you’re creating, but you want to be sure that that gallery is functioning on sound business principles. Unfortunately, galleries are too often created because someone thinks, “Boy, wouldn’t it be fun to have a gallery? All I need to do is get some lights, have artists bring their artwork, and hang it, and then I get to go to cocktail parties and tell people I own a gallery.” Well, that’s not how it works. Too often people get into the business as a hobby, or they fail to realize what’s required to be successful. It’s hard work. I feel so strongly about that aspect of it. I’ve always had at least two accounts, going back to the very first time I had a gallery in Scottsdale. One is an operating account, and I call the other one an artist escrow account. Subsequently, I opened a third one called a deposit account. When I receive a check, it goes into the operating account, but the portion that belongs to the artist is immediately transferred to the escrow account. That way I don’t confuse the operating account, which is available for my overhead, with money that belongs to someone else. I opened the third one, the deposit account, because occasionally someone wants to commission a painting or pay over a period of time, and I need to hold that money separately from operating funds. It is a matter of artists asking business questions. All too often, artists are so focused on being recognized and getting ahead in their careers that they don’t ask these kinds of things. SP: Artists are being evaluated BY galleries, but they are also evaluating the gallery. It has to be a good fit for both sides. JM: Exactly. Unfortunately, galleries go under, and their owners file for bankruptcy. Then the artist goes and bangs on a door that’s now closed, hoping to get back the art they’ve consigned, but the court says, “Well, I’m sorry but we’ve impounded that work. It was part of the gallery’s assets.” And the artist says, “Wait a minute—that work belongs to me. You can’t do that.” The court replies, “Oh, yes we can. We’ve seized all of their property. But you’re certainly welcome to come bid on your paintings on the courthouse steps.” That’s why artists need to do their due diligence before they enter into any kind of business relationship, no matter what it is. SP: In addition to being a gallerist, you’re also an auctioneer. How is that arena doing these days? JM: I grew up thinking that antiques were precious and valuable, and that they would always be valuable—that if you had antique furniture or silver or paintings, they would be worth more in two or three years than they were when you acquired them. That’s just the way things went. Unfortunately, that’s not the case anymore. I think Sotheby’s has actually shut down their silver department. Young people are not interested—they don’t care as much about this stuff as their parents did. As an auctioneer in South Carolina, I have to go for continuing education every year to maintain my license, and I talk to other auctioneers when I’m there. At auctions in Columbia or Charleston, where they sell what you’d previously call Queen Anne- or Chippendale-style furniture, it’s described as brown furniture today, which is just amazing. A dining room set that use to sell for maybe $7,500 may only go for $300 today. Things have changed. Artists will find themselves in competition with their own work. People will have taken the artwork to an auction house for one reason or another. The auction business is mostly driven by the three D’s—death, debt, and divorce. Though you can add a fourth—downsizing. There are reasons that works appear at auction. SP: How do auctions impact the choices that collectors and artists make? JM: The market will be what the market will be. As a collector, you have to ask yourself: Am I buying a piece of art because I love it? Because I want to live with it, enjoy it, and own it? Do I want to be its custodian? Those are all of the warm reasons for acquiring art. Or am I buying a piece because I want to sell it later for more money? Is it an instrument of investment? That last one is the thing people have to be extremely careful about. A friend of mine is an artist who’s originally from Yugoslavia, though was he living in Ibiza when he showed up at the Greenville museum where I was the director. I helped him meet some collectors, and he made some sales. Subsequently, he made more sales. He now has a studio in New York, another in Ibiza, and another in Georgia. He lives a very comfortable lifestyle because his paintings are enjoyed and collected, and he’s extremely prolific, but it bothers him that he sells his paintings for several thousand dollars and that many of those same paintings come up at auction where they sell for just a few hundred dollars. I think people just sort of expect it, but there’s no reason to expect it. What you have to understand is that you can enjoy a wonderful, legitimate lifestyle because of what you’re doing. If people buy paintings with the expectation that they’re going to flip them or make money on them, then that’s THEIR risk. And that’s a huge, huge risk. SP: From the artist’s point of view, what does it do to the value of their art—and to its perception among collectors who already own some of their pieces—if their works are resold later at a much lower price? It’s the same as people who say, “What will you take for this piece?” I tell them, “Well, there’s the label—it says $5,000.” They say, “Yeah, but I mean WHAT will you sell it for?” Now wait a minute. If this is a tennis match, I’ve already served you a ball. Why don’t you serve me one? Tell me what you think it’s worth, and then we can have a conversation. What you’re asking me to do is to change the price. There’s nothing wrong with that, but I need you to give me a reason why I should do that. I’ve never met you before, and you’re not an established client. Are you maybe going to buy six or eight pieces? Help me with a reason to change, and we can talk. That’s why I say that the gallery business is a business, and artists need to spend a little bit of time thinking about that side of it. SP: You mentioned some of the changes in the auction world. What about the art market more generally? How has technology changed things for the artist and the gallerist? JM: The wonderful thing about the market today is that’s there’s so much more information, and it’s immediately available to people. I would much rather sell to an informed buyer. I’d much rather sell to someone that has done the homework and who knows something about the market, than to someone who has no clue. You can Google almost anything these days. The other change is that people are getting spoiled. They want instant gratification and instant activity. That’s also why auctions are tending to gain in popularity. Most gallery operators detested auctions because they felt it hurt their business, but auctions have evolved significantly since the mid-1960’s and early 1970’s. And galleries have evolved. In the old days, New York galleries closed in the summer, and gallery owners went to Europe or somewhere. Now, if you own a gallery, you’d better be open maybe seven days a week and every week of the year if you going to stay in business. SP: And reachable on your cell phone. JM: Exactly. Also, auctions used to be for dealers. Dealers would buy the work, take it back to their gallery, put it in a bin, and maybe bring it out and sell it a year later. But that all began to change in the early to mid-1970’s, when collectors started attending auctions and buying there. I can remember the first Sotheby’s auction when they were still over on Madison Avenue across from The Carlyle. I saw a painting I liked, but I had no idea who bought it. The next day I was in the Knoedler Gallery in New York, and it was hanging on the wall for sale. I thought, “Whoa. Now that’s quick.” That’s just the speed we’re living at now. You have to adapt. SP: At CHF, we often point out the ways that some gallerists take advantage of artists, but of course not all gallerists do this. As someone who has added value to many artists’ careers, can you explain some of the challenges facing reputable, hard-working gallerists. JM: Many of the most successful galleries are in centers such as New York, but many are in high-end resort areas, places where people go to celebrate their success. 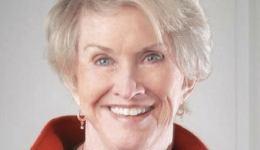 They’ve been CEOs and executives in the business world, men and women with their phones ringing and pressure on them, and then all of a sudden they go out to Santa Fe or Carmel or Jackson Hole or Bozeman or wherever, and they are in a different mood. They go into galleries. They’re feeling good about themselves. They want to celebrate their success, and they want to see artwork. The gallery that’s showing that work has to cover its rent, insurance, utilities, telephones, and advertising to showcase the work they’re presenting—and all of that costs money. I know a number of artists who understand that, and who feel that even though they might sell their work directly to a collector or get a commission, they are often willing to say, “Well, look, this sale came about as the result of your involvement. You should be participating in this. 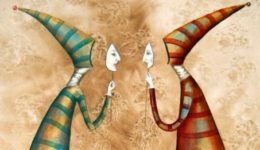 Either you handle the transaction, or we pay you our normal commission—or a portion of what we would normally pay you.” I see that happen all the time between good galleries and good artists. Technically, it’s a partnership, and you have to treat it as a partnership and be willing to work with each other to make it successful. SP: It doesn’t have to be an exploitive relationship. It can be a true partnership. JM: Right. We started something in Charleston about four years ago—a small works auction. We asked artists if they would be willing to create small paintings of modest value and allow us to offer those paintings at significantly lower prices. In turn, we would agree not to publicize the results of that auction, nor would we advertise the auction on askART, which is a major source of market information for collectors. What we’re trying to do is find a way to get younger people engaged in buying original work. Our theory was that if we could get a young couple to buy an original painting and take it home, they would begin to see the difference between that painting and the prints that had been hanging on their walls before. And it’s working. At the last one we did, we had young couples sitting in the front row, and they bought six or eight paintings. They’re buying paintings for several hundred dollars, or $1,500. The artist might say, “Well, you know, I normally sell that work for $2,500, and you’re asking me to make it available for $1,500 or $1,200? Why would I want to do that?” And I say, “Well, how about an electric bill or a telephone bill or a frame or crate that you need to have built? Would you rather have a check, or would you rather have that painting?” They say, “You know what? That makes sense.” And I’m talking about really major artists who have bought into this idea. It’s fun, and it has not hurt business at all. Now, of course, a lot of collectors see it as an opportunity to pick up pieces, but it all boils back down to the business of what you and I are talking about. SP: It’s interesting that you’re not publicizing the sale amount. You’re not trying to bring down artists’ prices. You’re getting their work out into the market and attracting a new audience. JM: It stirs the economy, and it stirs up interest. There are retired people who live in the neighborhood where we live. Normally, they would not be art collectors, but now they can see themselves spending a few hundred or a few thousand dollars every year. They get a lot of enjoyment out of it. Everybody wins.